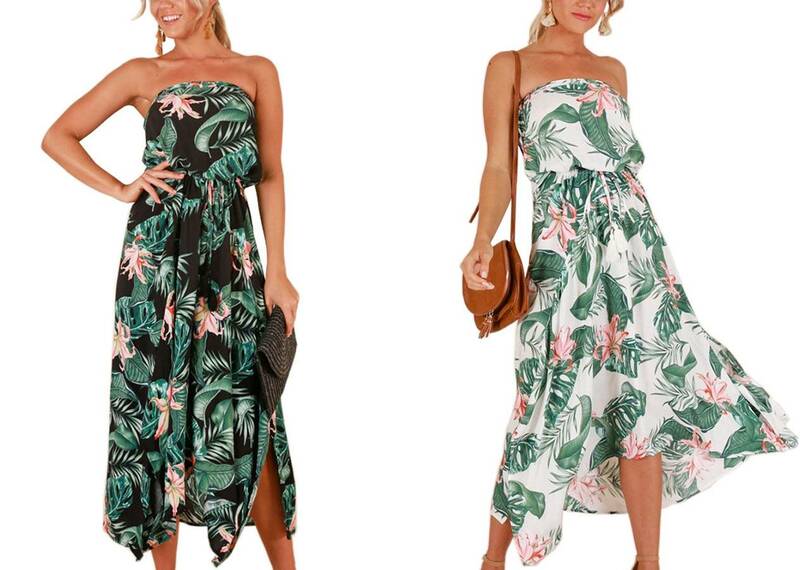 When it comes to what can be worn again and again in the hot weather, images of off shoulder dresses, mini sundress, sling maxi dresses immediately come to our mind. What is the most important thing for summer clothing? In addition to looking chic, it is to be cool and breathable! It seems that anything related to tropical patterns will remind us of leisure holidays and vast sea. An easy way to feel relaxed and happy. It’s so airy for us to lighten the heat that summer brings us. No matter it’s a vacation or just a relaxing weekend outing, it’s not too fancy but so chic. Polka dot with ruffle dress, how can we refuse it?! The deep V neck design is so feminine and the cut out detail reveal a bit scheming to draw attentions. 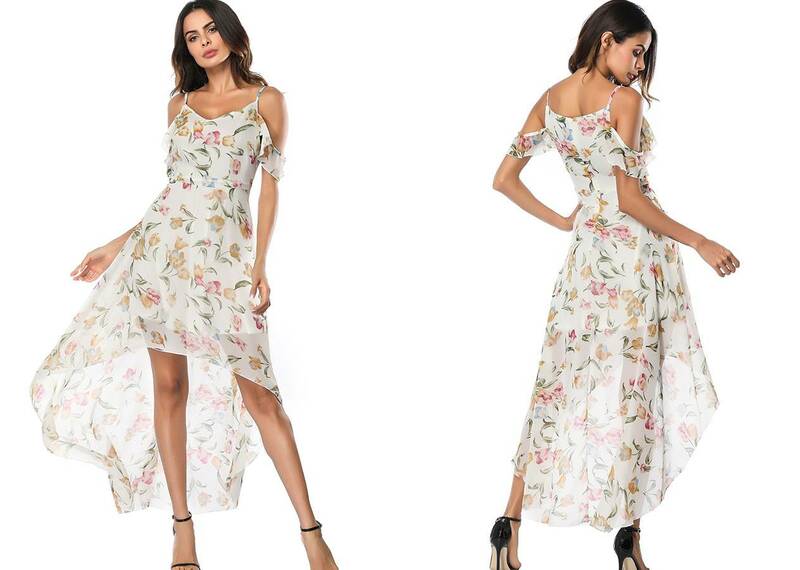 The length allows you to show off your long legs, can go with heels, sandals and even a pair of white sneakers, so versatile. The two dresses above is not available for your work hours? No headache. This one is more daily style, it’s not too short or too long while expose the skin properly. Plus the high-low detail, you will look so elegant and polish in it! That’s all for the summer uniform dresses I want to recommend. Do you get some inspiration? 下一篇： Try it! No headache for what to wear!